The owner described this to us as Hawaiian Beef Jerky. It was thicker than beef jerky, more tender, and really flavorful. 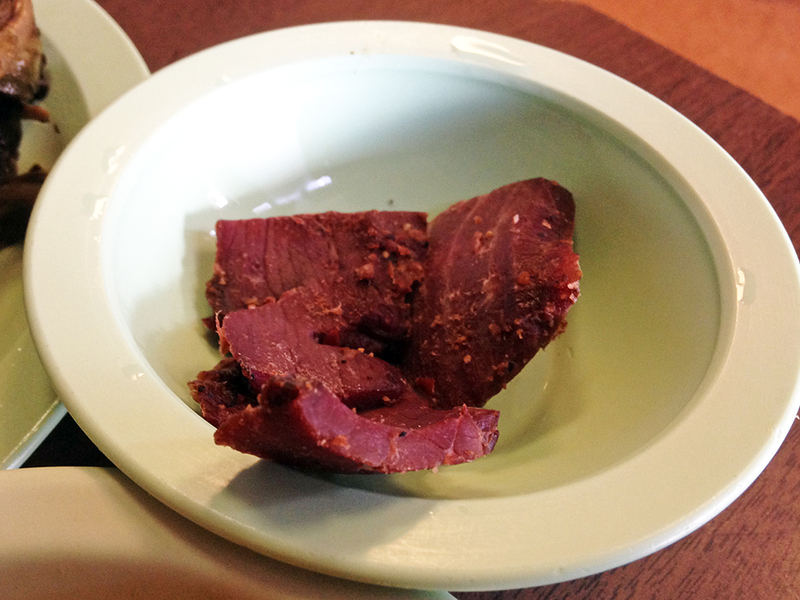 It also had fenugreek in it, which gave it a mild basterma flavor (Middle Eastern cured beef).